Duplo USA Corporation, Santa Ana, California, will highlight its diecutter and foil solutions at the Odyssey Expo in Atlanta, Georgia. Attendees will have the opportunity to see live demonstrations of the UD-300 rotary diecutter and DFL-500 dry coat/foil/laminator in booth #105, as well as the UDM-300 manual diecutter in the Techshop. 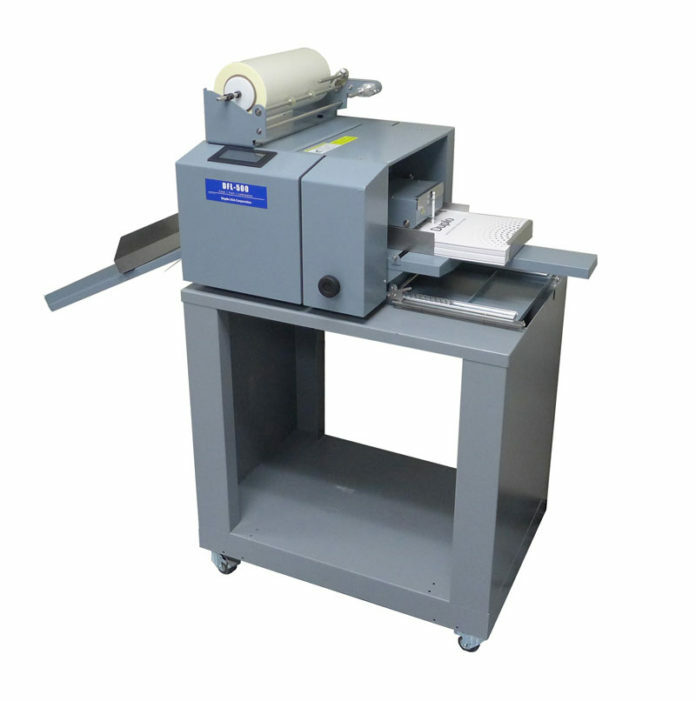 Designed for flexible dies, the UD-300 rotary diecutter performs multiple cuts, slits, slit-scores, kisscuts, perforations and window punches on paper stock up to 14×20” at up to 3,000 sheets per hour. The DFL-500 dry coat/foil/laminator offers an easy 3-in-1 solution for print providers looking to instantly add toner-based digital foil on applications up to 13×24” in size. The Odyssey Expo will take place May 1-3, 2019, at the Cobb Galleria Centre. For more information, visit www.duplousa.com. Read the latest print edition of PostPress on your desktop.